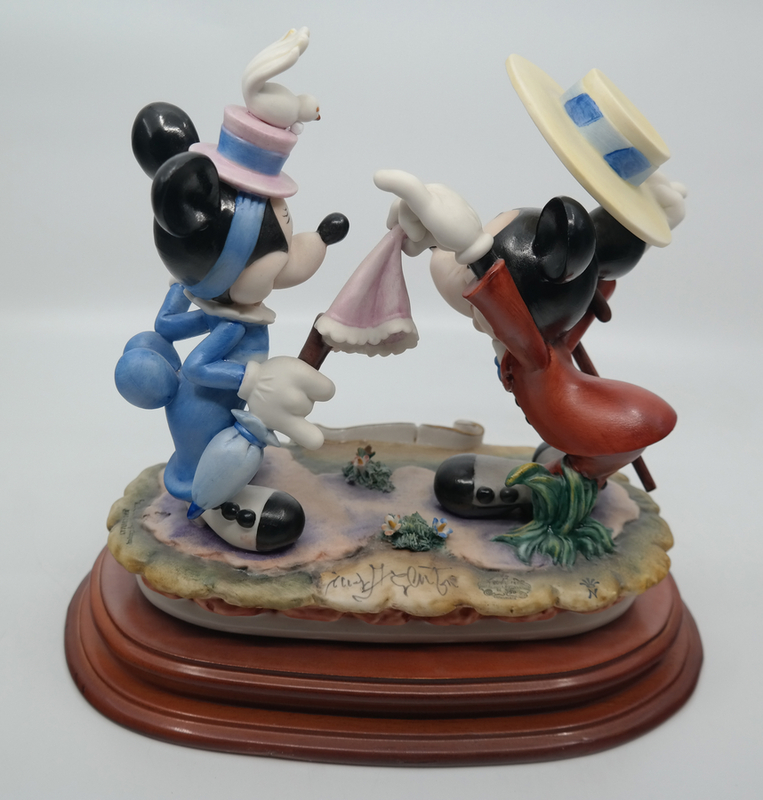 9.5" x 10.5" x 6.75"
This is a romantic porcelain figurine featuring Mickey Mouse departing for a date with his beloved Minnie Mouse, based on the classic short, Nifty Nineties. 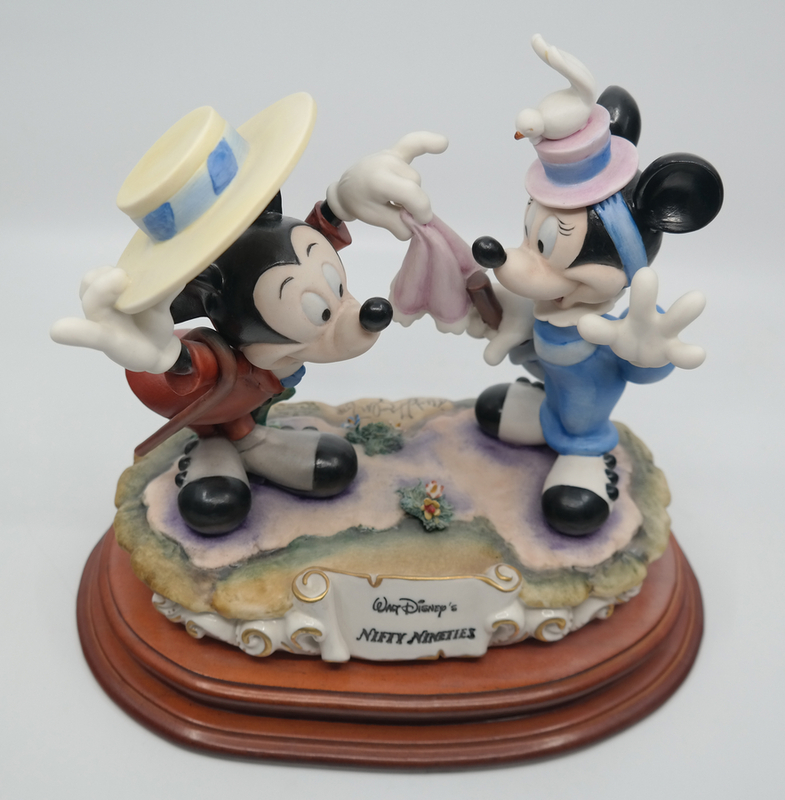 This sculpture was sclupted by Enzo Arzenton for the Capodimonte collection. 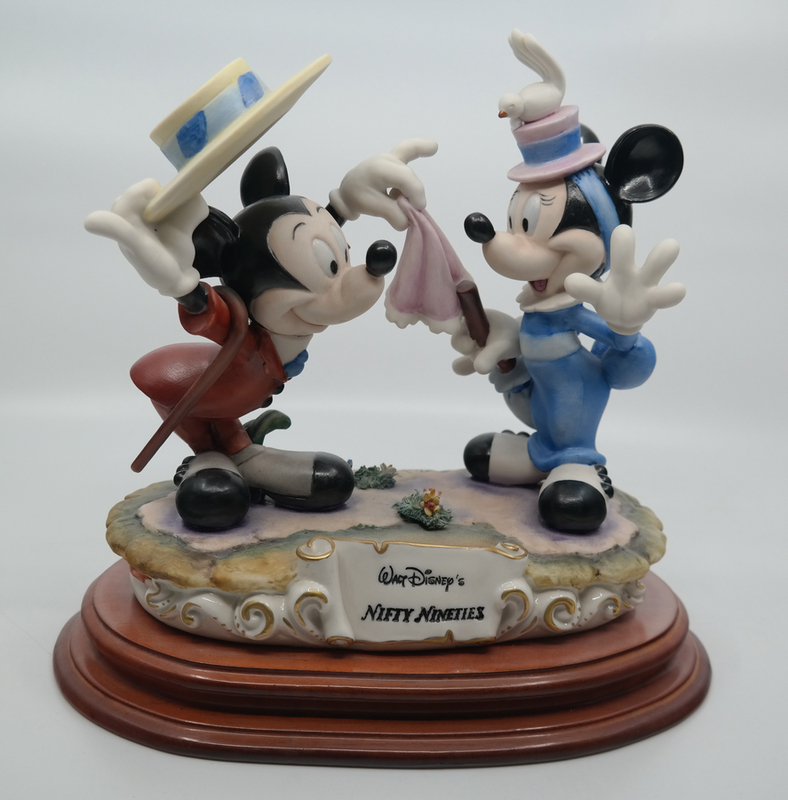 This statue was released in 1992 at the Disneyana Convention in an edition of 250 pieces . The piece measures 9.5" x 10.5" x 6.75" and is in excellent condition.